Think of Sweden and images of lush countryside, calm lakes, red wooden houses and endless summer evenings often spring to mind. Combining Stockholm and the coastal town of Trosa, this 7 night itinerary will both confirm and challenge this perception. Stockholm is a natural city with a well-preserved historic core; it is also one of the most modern, dynamic and innovative cities in the world. The picturesque town of Trosa perfectly complements a stay in the capital, offering a relaxing base for exploring the Baltic archipelago and the Swedish countryside. On arrival at Stockholm Arlanda airport, you will be transferred to the Skeppsholmen Hotel in the centre of the city. The Skeppsholmen Hotel is an oasis of calm, surrounded by calm waters and verdant gardens, and a favourite of the Sunvil team. Overnight at the Skeppsholmen Hotel in Stockholm. 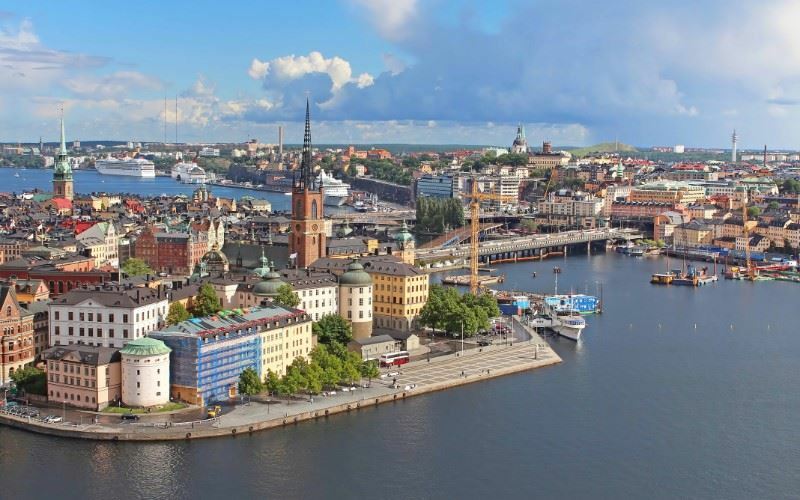 Within your holiday package we have included a 48 hour Stockholm Pass; providing complimentary admission to most of the city’s museums and attractions, as well as free public transport and discounts on sightseeing tours and activities. Stockholm’s museums are world-class, many offering interactive experiences and tours. There is truly a museum for all interests, but we would highlight the Vasa Museum, Fotografiska Museum and Aquaria Water Museum as some of the best in the city. Continue your independent exploration of Stockholm and her surroundings. An array of archipelago boat tours are available, as are day cruises to Sigtuna and the Viking settlement of Birka, a UNESCO World Heritage Site, for those wishing to venture further afield. After breakfast, collect your hire car from Stockholm’s downtown depot and drive to the charming coastal town of Trosa (c. 1 hour’s drive). Trosa, in our opinion, is one of the most idyllically situated towns in the region and it is easy to while-away the hours strolling along the canals, seafront promenades and exploring the narrow streets lined with colourful wooden houses. During the summer months, Trosa attracts Sweden’s sailing fraternity and the town is alive with a holiday vibe; outdoor restaurants, cafes and festivals. Overnight at the Trosa Stadshotell and Spa in Trosa. Days at leisure in Sormland, an unspoiled, verdant province brimming with picturesque villages and over 400 historic manor houses. The woods here are full of birdsong and the fields and pastures peppered with wildflowers. For those with an interest in history, a visit to Gripsholm Castle on the shores of Lake Mälaren is an unmissable experience. The Trosa Stadshotell and Spa can arrange boat tours in Trosa’s archipelago, kayak trips and bicycle hire for their guests (at a supplement). The 1000km Sörmlandsleden walking trail winds through the country, passing through Trosa. Today, we have included a full day, self-guided hike from the Royal Tullgarn Castle to Trosa (21km) including transfers to the start of the walk, a picnic lunch and a map. This is a scenic stretch of trail that passes through forests and runs alongside a stretch of coastline. On returning to the hotel, the spa awaits – two saunas, a steam room and a plunge pool. In the evening, a two-course menu with wine is served. After breakfast, drive to Stockholm Arlanda airport for your return flight to the UK. The Stadshotell and Spa is located in the heart of the idyllic coastal town of Trosa, 45-minutes drive from Stockholm.